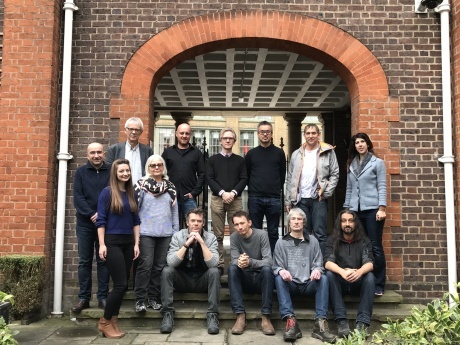 System Simulation is a London-based software house with a proud 40-year heritage in software developments for information management. We create information and digital asset management systems for cultural institutions, companies, image libraries, higher & further education, scientific Organisations, local government and publishers. System Simulation brings a unique breadth and depth of experience to projects. Our products are built on the award winning Index+ information management system, rooted in a long history of experience, research, and development: a mature and proven technology delivered to customers by a committed and creative partner, known for its successful and long-lived client relationships. You can find our contact details at the bottom of every page of our website or use the Contact link in the menu above to send us an email. System Simulation uses its wealth of experience to help organisations manage, integrate and creatively present complex information and digital assets. Our company culture is very much that of a modern enterprise in the knowledge economy. We strive to act responsibly in relation to our clients, our employees and the wider community. We have won a number of media and technology awards for innovative and powerful systems delivered to our customers, including 'Best of the Web' and the 'New Statesman New Media Award for Education'.